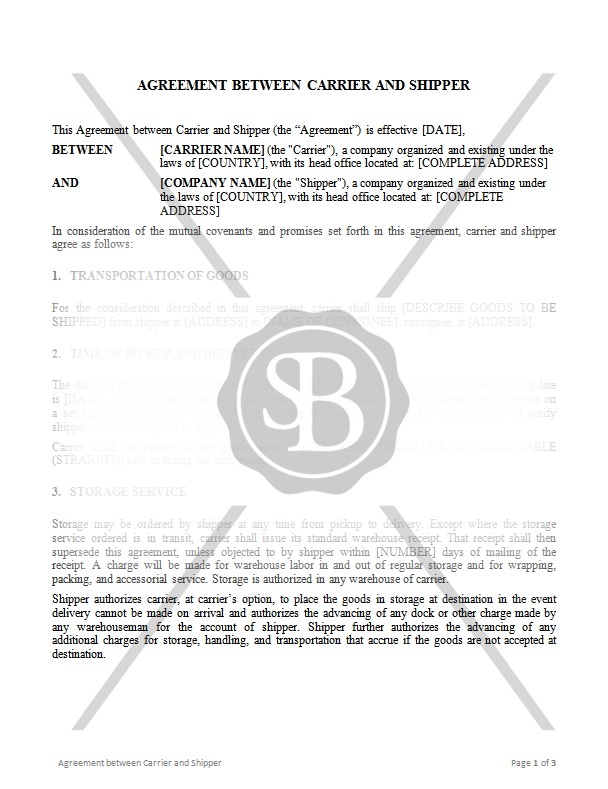 This Agreement is concluded between the Shipper and the Carrier. Both the Shipper and Carrier agree to ship certain goods to a consignee at a specific location. This agreement sets out terms and conditions of the transportation process, storage services, pick and delivery, etc.